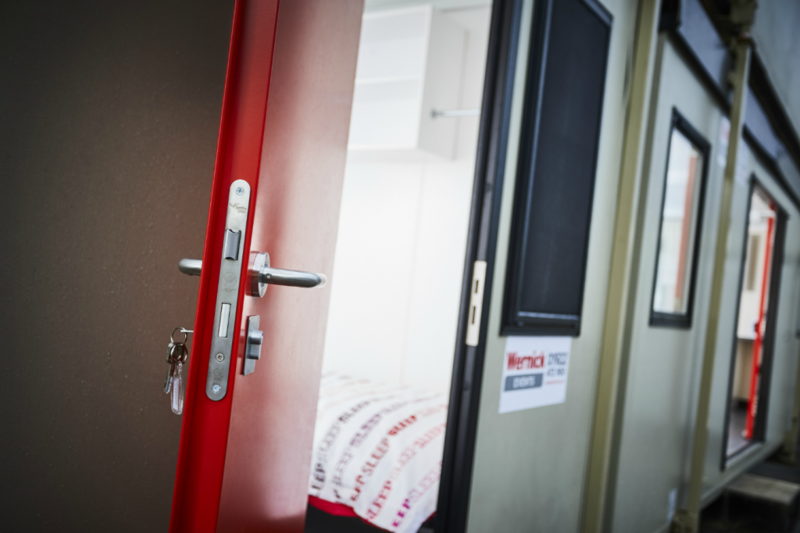 Wernick Buildings Ltd were tasked with finding a new modular sleeper unit that was both durable and strong enough to provide security reassurances for short term festival accommodation. As Wernick’s primary steel security door manufacturer and supplier, we were asked to design and produce a new bespoke doorset to suit a 65mm wall thickness. Our ‘Made of Stronger Stuff’ approach enabled us to design a cost-effective solution that was easy to adjust and fit, yet still strong enough to withstand high usage. 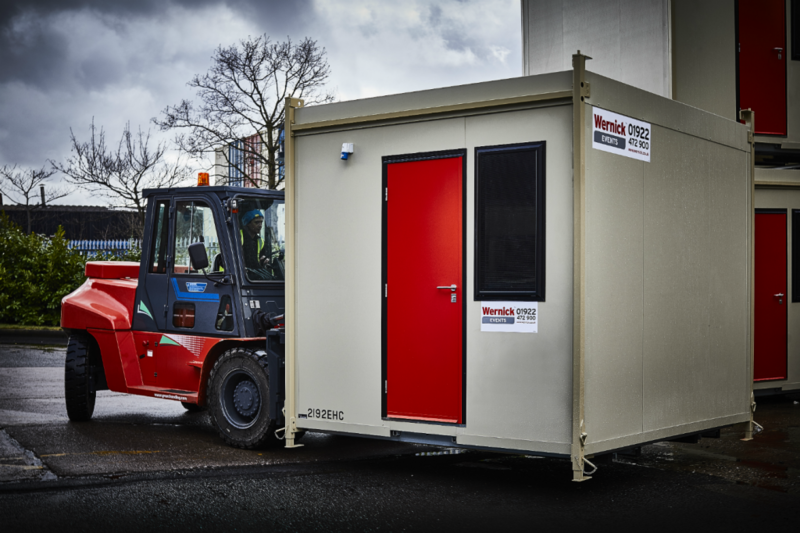 Our R&D team designed the ModuleX with 1.5mm galvanised steel, combined with an internal steel strengthener and a mineral wool core for ultimate insulation. As standard, this modular solution is available as a single point locking exterior opening doorset, with a full flange frame system and stainless-steel threshold. In addition, this door can also be manufactured as an inward opening solution for wall thicknesses of 75mm upwards, with multipoint locking if required.